After pointing your domains to Brandpa, you will be asked to provide ideas and descriptions for each of them. This is your opportunity to make your domain name get discovered by the right audience. 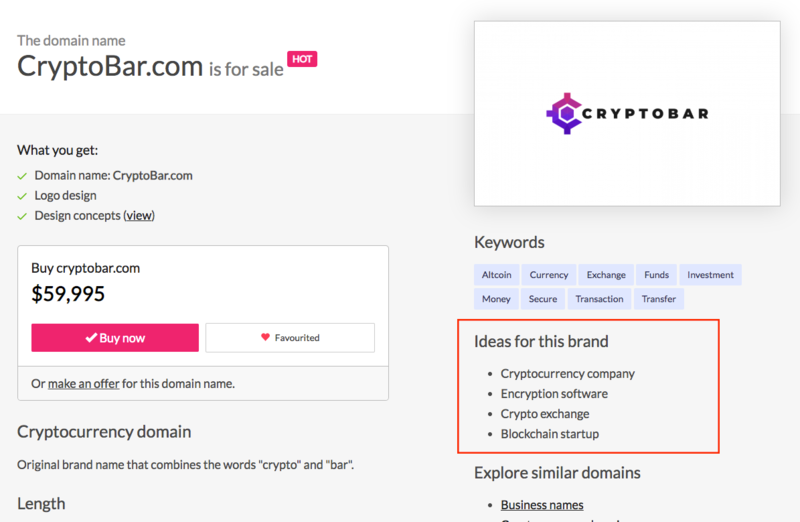 You need to specify at least one idea, and for most domains we recommend three. You can add up to six if you wish. Most ideas only need to be 1-3 words, e.g. “Accounting software”. yappiness.com – Extremely positive brand name that combines two words “yap” (‘to talk’) and “happiness”. HeyAnalytics.com – This analytics business name has a friendly touch thanks to the word “hey”. cryptofully.com – A play on “crypto”, adding the suffix “–fully” is typically used in English to make a word an adverb. For example: skilfully, powerfully, cryptofully. We recommend keeping it short and simple. Your description will be used by search engines to help people find your domain name. We manually review all the descriptions you provide, to ensure that they’re appropriate, and free from spelling or grammar errors. We may edit your text where necessary. If you’re struggling to think of ideas or a description, you can fill in what you can, and click the Ask for help button. This will send the domain to a member of Brandpa staff, and ask them to complete it for you. Please note that if you ask us to help you with a description, your domain will take longer to list on Brandpa.